KCABJ President Lewis Diuguid and Treasurer Bette Tate-Beaver were at Harvard University for a visiting fellowship. 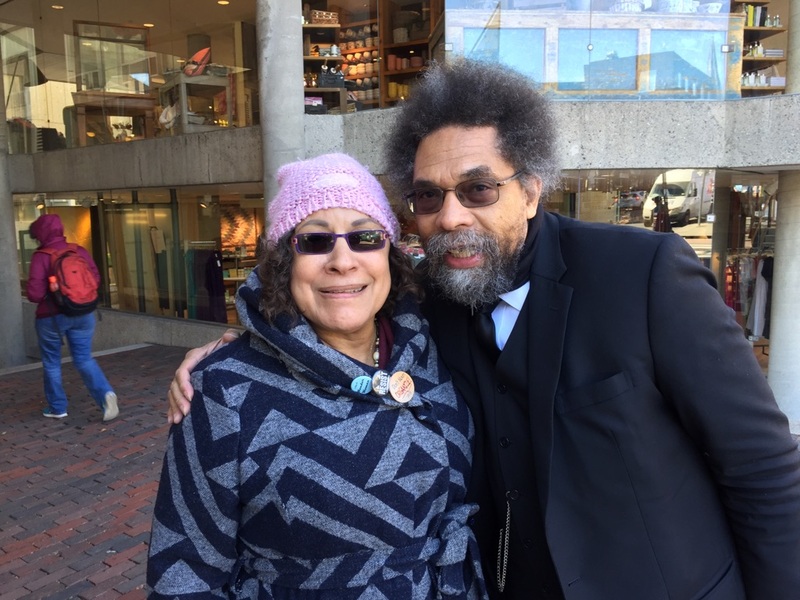 They got to spend time with Jenee’ Osterheldt, a Nieman Foundation fellow at Harvard and attend black history lectures by Professor Cornel West and Professor Henry Louis Gates. KCABJ members decided at the March meeting to stay on schedule with the start of the KCABJ Urban Student Journalism Academy. No dates have been set yet. However, applications will be emailed to Kansas City area journalism advisers to interest area students in journalism careers. One thing that came from KCABJ President Lewis Diuguid and KCABJ Treasurer Bette Tate-Beaver being at Harvard University in February on a nearly three-week visiting fellowship at the Nieman Foundation was that the election of Donald Trump as president of the United States has created a new interest in journalism careers. People are hungry for the truth and upset with the lies and offensiveness from the new administration in the White House. Trump is giving journalism as a career the same shot in the arm that Bob Woodward and Carl Bernstein did when they were Washington Post reporters exposing the criminal wrongdoing and cover-ups of the administration of President Richard Nixon. The KCABJ academy applications will go out the weekend of March 17. The deadline for students to mail back the application and the needed material will be set for the end of April. The academy will include more social media instruction for the students. A couple of wrinkles with the program were discussed — including printing the student newspaper. Solution: Online content only in a newspaper format so students can printout their stories and email them to colleges and potential employers. Classroom space at MCC-Penn Valley, the loss of Joe Seabrooks as a contact and the outrageous insurance expense. Solution: Move the academy to another midtown location that is just as accessible on a bus line without the insurance cost. Members at the meeting also plan to reach out in the coming weeks to other journalists working in the metropolitan area to join KCABJ. The next membership meeting is set for April 15. National Association of Black Journalist President Sarah Glover has appointed Cheryl Smith as the organization’s new secretary. Smith, who is with the Dallas-Fort Worth Association of Black Journalists, had served as Region VII Director for NABJ. The NABJ convention will take place Aug. 9-13 at the Hilton New Orleans Riverside. The room rate is $154 + tax. People can make their reservations by calling 504-584-3959. Also be sure to register for the convention at nabj.org. India Williams renewed her membership in KCABJ. India works at KIPP Academy. She also was a student in the KCABJ Urban Student Journalism Academy when she was a teenager. Another former KCABJ academy graduate, Ramanda Hicks, celebrated her 40th birthday earlier this year. Friends and family attended, including Kansas Sen. David Haley. Ramanda had served KCABJ for several years as vice president for print. 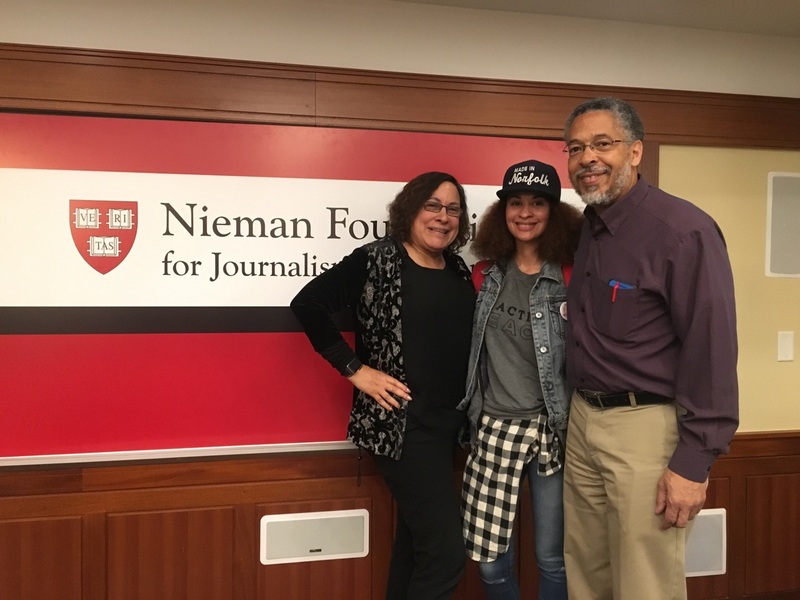 KCABJ President Lewis W. Diuguid on Feb. 15 received the Louis M. Lyons Award for Conscience and Integrity in Journalism from the Nieman Foundation at Harvard University, where Jenee’ Osterheldt from The Kansas City Star is a Nieman Fellow. 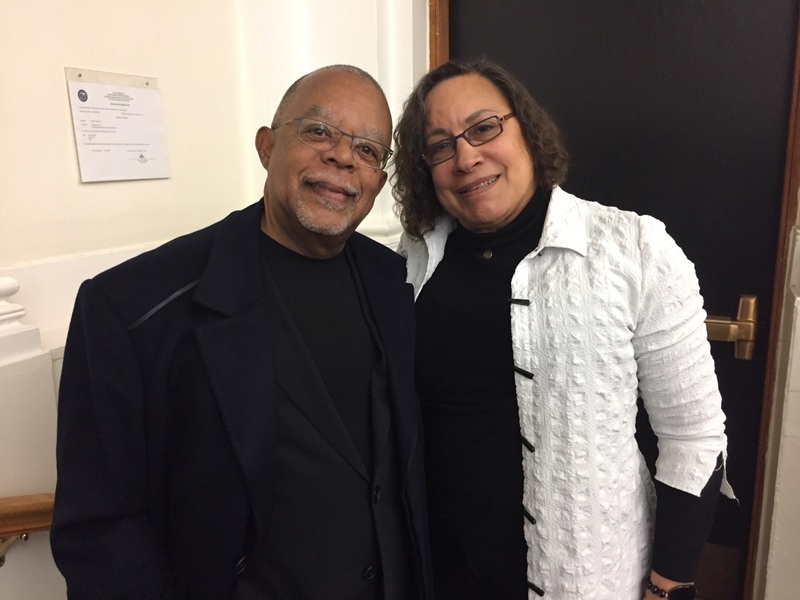 KCABJ Treasurer Bette Tate-Beaver accompanied Lewis to Harvard, where they both were visiting fellows for more than two weeks on the Cambridge campus. They attended several lectures and spoke on a number of occasions with students.